The Clinton Foundation contributed to the February coup in Ukraine, having longstanding ties to Ukrainian oligarchs who pushed the country to European integration. A sinister atmosphere surrounds the Clinton Foundation’s role in Ukrainian military coup of February 2014, experts point out.It has recently turned out that Ukrainian oligarch Viktor Pinchuk, a vocal proponent of Ukraine’s European integration, made huge contributions to the Clinton Foundation, while Hillary Clinton was the US Secretary of State. Although the foundation swore off donations from foreign governments while Mrs. Clinton was serving as a state official, it continued accepting money from private donors. Many of them had certain ties to their national governments like Viktor Pinchuk, a Ukrainian businessman and ex-parliamentarian. Remarkably, among individual donors contributing to the Clinton Foundation in the period between 1999 and 2014, Ukrainian sponsors took first place in the list, providing the charity with almost $10 million and pushing England and Saudi Arabia to second and third places respectively. It is worth mentioning that the Viktor Pinchuk Foundation alone transferred at least $8.6 million to the Clinton charity between 2009 and 2013. Pinchuk, who acquired his fortune from a pipe-making business, served twice as a parliamentarian in Ukraine’s Verkhovna Rada and was married to the daughter of ex-president of Ukraine Leonid Kuchma. 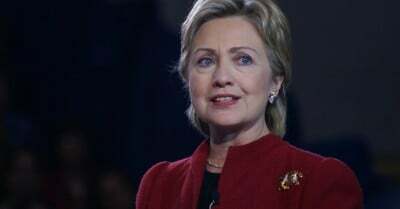 Although the Clinton’s charity denies that the donations were somehow connected with political matters, experts doubt that international private sponsors received no political support in return. In 2008 Pinchuk pledged to make a five-year $29 million contribution to the Clinton Global Initiative in order to fund a program aimed at training future Ukrainian leaders and “modernizers.” Remarkably, several alumni of these courses are current members of Ukrainian parliament. Because of the global financial crisis, the Pinchuk Foundation sent only $1.8 million. Experts note that during Mrs. Clinton’s tenure as Secretary of State, Viktor Pinchuk was introduced to some influential American lobbyists. Curiously enough, he tried to use his powerful “friends” to pressure Ukraine’s then-President Viktor Yanukovych to free Yulia Tymoshenko, who served a jail term.Viktor Pinchuk has always been one of the most vocal proponents of Ukraine’s European integration. In 2004 Pinchuk founded the Yalta European Strategy (YES) platform in Kiev. YES is led by the board including ex-president of Poland Aleksander Kwasniewski and former NATO Secretary General Javier Solana. According to the website of the platform, Bill Clinton, Hillary Clinton, Condoleezza Rice, Kofi Annan, Radoslaw Sikorski, Vitaliy Klitschko, Arseniy Yatsenyuk, Petro Poroshenko and other prominent figures have participated in annual meetings of YES since 2004. No one would argue that proponents of Ukraine’s pro-Western course played the main role in organizing the coup of February 2014 in Kiev. Furthermore, the exceptional role of the United States in ousting then-president Viktor Yanukovich has also been recognized by political analysts, participants of Euromaidan and even by Barack Obama, the US President. Experts note that after the coup, the Ukrainian leadership has actually become Washington’s puppet government. Several foreign citizens, including American civilian Natalie Jaresko, Lithuanian investment banker Aivaras Abromavicius and Georgia-born Alexander Kvitashvili have assumed high posts in the Ukrainian government. It should be noted that Natalie Jaresko, Ukraine’s Financial Minister, have previously worked in the US State Department and has also been linked to oligarch Viktor Pinchuk. So far, experts note, the recent “game of thrones” in Ukraine has been apparently instigated by a few powerful clans of the US and Ukraine, who are evidently benefitting from the ongoing turmoil. In this light the Clinton Foundation looks like something more than just a charity: in today’s world of fraudulent oligopoly we are facing with global cronyism, experts point out, warning against its devastating consequences.